If you’ve shied away from ERP systems because of rumors that their business intelligence solutions were too complex, it’s time to re-evaluate that concept. 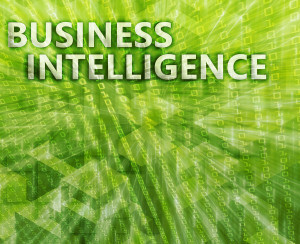 Today’s business intelligence solutions easily transform multiple data sources from throughout your company into meaningful information. A new white paper from IWI Consulting offers additional insights into the application and use of ERP systems for business intelligence. Newer systems embed business intelligence solutions within the framework of the system. This makes it much easier to aggregate multiple data sources and run reports specific to your needs. Such reports can take a “big picture” view and report on factors from different areas within the company. Among these types of software, BI is most frequently paired with ERP solutions. Studies indicate that businesses who use a combined, integrated ERP and business intelligence solution are on average twice as likely to gain real-time insights into the status of all business processes. This is a boon for business efficiency, productivity, and planning. Increased accuracy: Financial data improved accuracy so that it became 99% accurate for budgeting, 96% forecasting accuracy, and 94% on-time financial filings. Shorter sales cycles: Integrated systems shortened sales cycles and increased quota achievements by 6%. Improved operating margins: Manufactures benefited from a 10% year over year improvement in operating margins. Increased equipment effectiveness: 87% also increased their equipment effectiveness. Supply chain management: Supply chain management also benefited greatly, with on-time inbound orders completed 95% of the time, and a 7.5% decrease in out of stock frequency. By using a combination of ERP and BI systems, manufacturers especially benefit. Improved equipment and order efficiency, decreases in stock errors, and other incremental improvements lead to overall company benefits by decreasing costs and improving net profits. Such benefits can add up to significant savings. The improvements throughout the company are impressive, but the improved supply chain management is worth noting. Poorly managed supply chains can bring production to a halt or significantly throw delivery schedules off. When you have the data you need to manage your supply chain more effectively, you can keep productivity high. Note also the increased equipment effectiveness. Many factories have idle equipment simply because they lack information about orders coming into the pipeline. If they had the information at hand, they could divert orders to idle equipment, thus ensuring that few, if any, equipment remains unused. This enables them to produce more goods in less time than competitors and provides significant advantages. If you’d like additional insights and information about the benefits of integrated BI and ERP systems, a new paper entitled Great Visibility and Better Business Decisions is available for free download from IWI Consulting. Manufacturers seeking business intelligence solutions would be smart to consider ERP consulting. IWI’s ERP consulting offers insights and assistance with determining your company’s overall information needs, then matching needs to available products. IWI Consulting offers ERP consulting and systems to help you manage your data efficiently. With the right ERP systems, you’ll never feel as if you’re drowning in data. We can help you select the best system for your needs and learn how to use it for maximum benefit. Call IWI Consulting at 1-866-916-3851.